After work for many hours everyone needs peace and comfort. Best place to get peace and relaxation is nature and for this planting a garden or planting trees at home are required. But due to limited space at home people avoid to make garden. In this instance, the best option is a terrace garden. People can make a beautiful terrace garden with flowers at home which gives them relaxing and peaceful environment and we know that nature is the man’s best friend. Tired men or women can sit in this terrace and enjoy their evening and morning with a cup of tea. This calm environment makes them relax and active. It’s not a difficult task to make terrace. Greenery is pleasing to your eyes and refreshing mind. You can grow many things in it like flowers of different colors to give colorful look to your home. In this busy life people don’t have time for nature. A well managed garden cannot be affordable by everyone. But terrace have made everything possible for everyone and people can easily planted plants in their balconies. Plants are not only essentials for the environment but it has its own therapeutic value for relaxing. The first requirement for the terrace garden is spacious terrace. The first and important thing is that your terrace should be strong enough to bear the load of plants. Secondly your drainage system should be effective and surplus water should stay out from your terrace. Make your terrace water proof to avoid the damp spots on the walls. 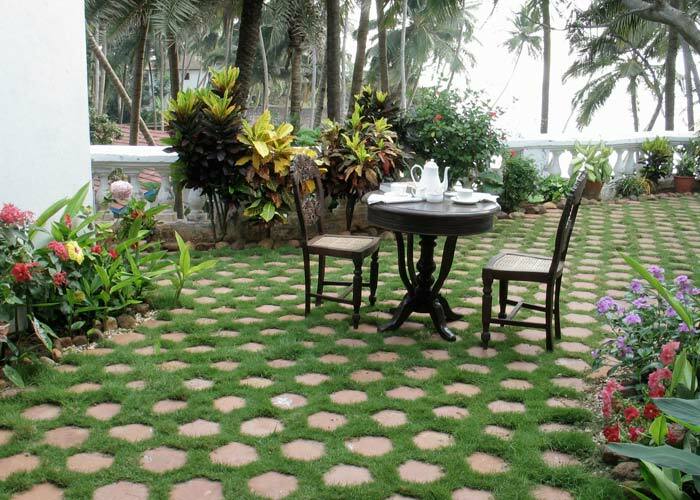 Rock garden and sculpted garden are the shapes more commonly use for terrace garden. Your terrace garden can be the collection of herbs, shrubs, small trees or plants. Selection of soil should be done wisely. You can use peat moss or soil rite. Always go for fiber rooted plants rather than tap rooted plants, because tap rooted plants have deeper roots. Prefer smaller and beautiful plants like orchids, sunflowers or pansies. You can also grow vegetables in it and enjoy fresh vegetables. To make your terrace more colorful you can grow colored leaves plants in it. Use seasonal plants to make it colorful and attractive. Plants are very important in our life. If you put little effort to make it green zone then you can maintain it forever. Colorful flowers look beautiful in the terrace and add beauty in home. Every human likes to spend time in the lap of nature so take care of your terrace garden.